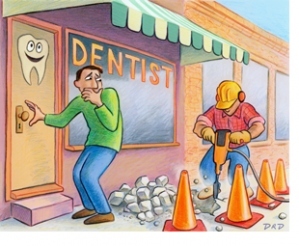 NYC Smile Design - BLOG - Are You Afraid of the Dentist? Does going to the dentist, or even the thought of going to the dentist, make you anxious? Then you are not alone! Dental phobia is a common occurrence among both adults and children. 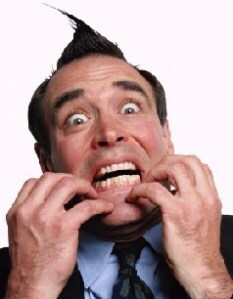 In fact, sixty million Americans experience dental anxiety, and about 50% of them will avoid going to the dentist. Your anxiety stems from a natural tendency to protect your teeth. Therefore, as you are psychologically programmed to associate your mouth with staying alive, your primal instincts are to protect your mouth. There are different reasons why different people experience anxiety before, or during their dental visit. One of the most prevalent is the assumption that all dentists are the same. That is not the case. Dentists, just like all human beings, vary in their personality and approach. It might be that your past experiences have not been favorable, but there are dentists who are gentle, kind and caring. You just have to do your research and find them. Poor oral health or perceived neglect often leads people not to go the dentist; they hope to avoid the embarrassment of being professionally evaluated. This, in a sense is a cyclical effect: when you avoid going to the dentist, whether it is due to traumatic experiences in the past or a deep- seated fear of the general dental experience, the result is poor oral health. This should not deter you from seeking out a dentist. Rest assured; the chances are that your dentist has seen teeth in worse shape than yours! Your dentist is there to help you maintain great oral health, and if you tell them of your fears, they will be better able to help you. Other sources of phobia include the fear of pain, the drill, the needle, gagging, or the loss of control in the dental chair. You might also be afraid of feeling numb, or maybe not getting numb. Both of these fears can be dealt with if you have reliable information on them. Recent advances in technology assure that your visit to the dentist will be comfortable at every stage. To prevent a cycle of avoidance, if you experience dental anxiety, you can always find a dentist with whom you feel comfortable. You will discover that they will be able to help you, and with the correct technology, you can be placed under conscious sedation that will relax you while the dentist evaluates your problems. You will also discover that you are not alone: there are also support groups available for you in your area. So please, don’t let your anxiety prevent you from visiting your dentist and keeping a healthy smile.